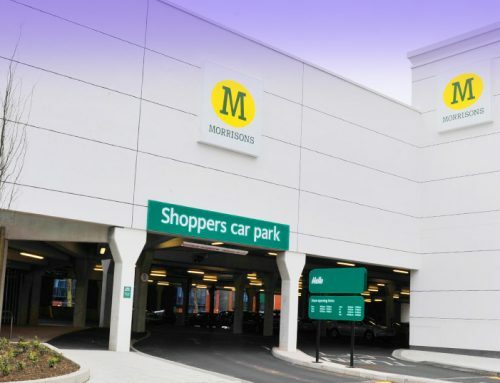 Over 3,500 Offsite manufacture components providing a 5 level multi storey structure for 1,036 car parking spaces and retail areas. Suspended car park decks fall in two directions enabled by stepped bearings in wall and beam corbels. Factory engineered GT Flooring units manufactured with consistent non slip brush finish wearing surfaces compliment the overall high quality finishes obtained. Hybrid Offsite manufactured structural frame designed using latest BIM technologies enabled a 40 week on site programme. 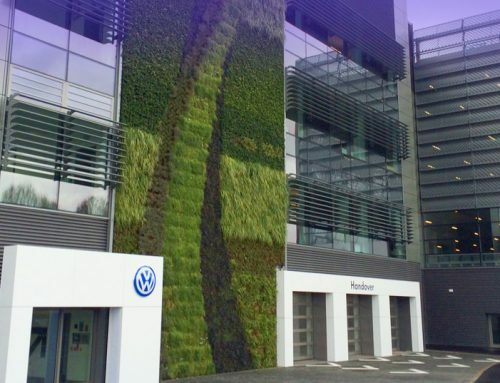 Construction was quicker than a fully onsite build approach, resulting in less on site personnel and plant resources that would otherwise be required. PCE Ltd worked in co-operation with MACE, developing a hybrid design and build solution, principally using offsite engineered precast concrete components, to provide a solution for the five suspended level car park structure that would also incorporate an area of multi-level retail space at its front. The new major town centre redevelopment at Bracknell, Berkshire was under discussion and planning for nearly twenty years before opening recently. Known as the Lexicon, the town centre development has been undertaken by the Bracknell Regeneration Partnership, a joint venture between Legal and General, Schroders and Bracknell Forest Council to provide much needed extensive shopping, restaurant, entertainment and facilities. 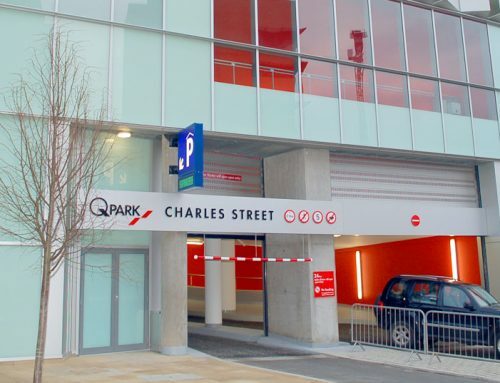 A significant part of the development of this example of “next generation” shopping and leisure facilities is the multi storey facility called the Avenue Car Park, that remains open 24 hours a day and provides 1,306 car parking spaces including specific spaces for disabled and electric car charging. The use of 3 dimensional BIM modelling techniques was critical during the tender period, and following the contract award they enabled PCE to develop the car park element of the structure as an efficient precast hybrid concrete solution, using their in house designed and developed GT long span flooring units. Over 24,00m² of the GT units were deployed in order to minimise on-site construction times, reducing the depth of structure, number of erection lifts, and the amount of follow-on trades as no in-situ structural topping is required. The units arrived to site on a just-in-time basis with a factory applied anti slip finish. The advantages of PCE’s offsite approach utilising its own developed products and techniques is once again leading the way in reducing town centre congestion and the number of people that would otherwise have been employed on site during the construction phase. 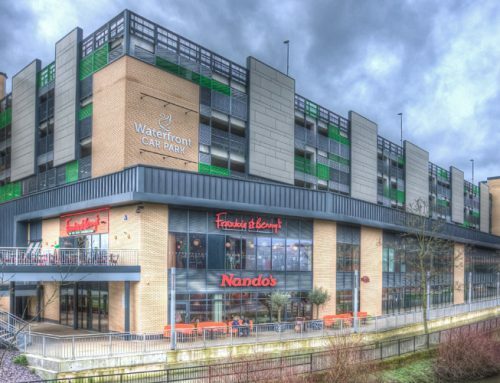 Like PCE’s recent Stafford Town Centre project, the structure is not just simply a car park – as the retail space at the front is also part of the PCE design and build package. Bracknell update 11 – precast concrete unit number 3353 on site!